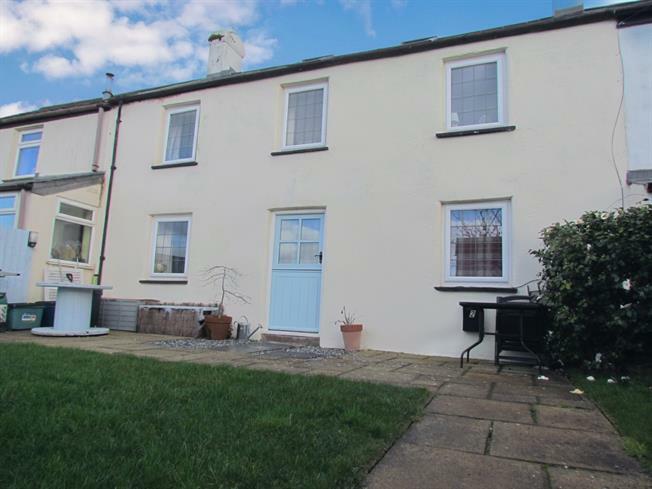 4 Bedroom Terraced Cottage For Sale in Tavistock for Offers in excess of £205,000. A four bedroom terraced period cottage situated within the centre of the village. Accommodation briefly comprises living room, lounge, kitchen and utility on the ground floor. Four bedrooms and family bathroom on the first floor. The cottage also benefits from parking, space for a garage and a stone built store. Feature fireplace with ornate surround and inset grate, upvc double glazed casement wndow to front with window seat, wooden flooring, radiator, beamed ceiling. Slate flagstone floor, upvc double glazed window to rear, space for fridge/freezer, washing machine and tumble dryer, wall cupboard. Upvc double glazed casement window to front offering countryside views, built-in cupboards to both alcoves with stripped doors, radiator, exposed roof timber. Upvc double glazed casement window with slate sill to front offering countrywide views, built-in cupboard to alcove with stripped door, exposed roof timber. Upvc double glazed casement window with slate sill to rear overlooking the field, radiator, access to boarded loft with two Velux style windows, exposed roof timber. Upvc double glazed casement window with slate sill to front offering countryside views, radiator. A matching recent suite comprising shower bath with mixer valve shower over, pedestal wash hand basin, close cupboard WC, tiled splash backs, double glazed window to rear and Velux style window with a vaulted ceiling overlooking the field. To the front of the property there is an off road parking space with steps ascending to the enclosed front garden with laid to lawn areas, paved patio area which would be ideal for alfresco dining enjoying the countryside view. To the rear of the property there is a small gated area where the oil tank is situated. However the neighbours do have rights of access across this area. There is also an additional car parking space and piggery within walking distance of the property.